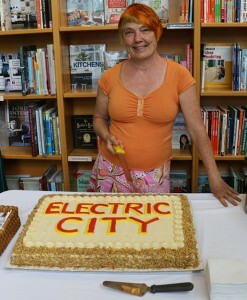 Thanks to our volunteer Karen for cutting the cake! 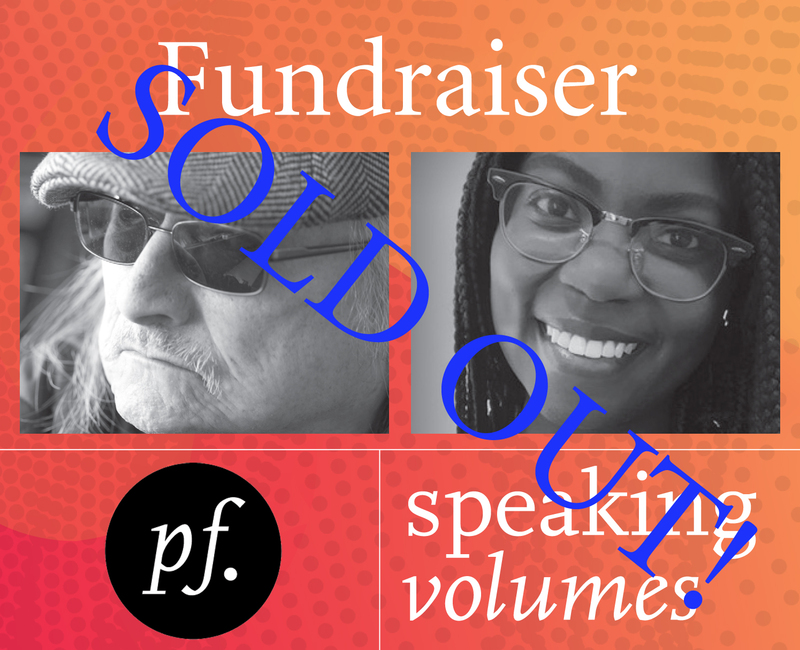 « Thank you to our wonderful Speaking Volumes 2014 guests! Karen San Filippo, with matching hair & outfit, volunteered to cut & serve the cake at the launch of our special supplement Electric City.Thank you, Karen, for all your (ultra stylish) help and support.